It is true. Time moves at a different pace for the players in the Middle East. The acting-President of the Palestinian Authority Mahmoud Abbas said in September 2016: “We ask Great Britain, as we approach 100 years since this infamous declaration, to draw the necessary lessons and to bear its historic, legal, political, material and moral responsibility for the consequences of this declaration, including an apology to the Palestinian people for the catastrophes, misery and injustice this declaration created and to act to rectify these disasters and remedy its consequences, including by the recognition of the state of Palestine.” No joke. He asked Great Britain to apologize for the Balfour Declaration from 100 years prior that sought to facilitate the emigration of Jews to their holy land. A poll of Palestinians conducted in March 2018 found that only 9% of Palestinians believed that there would be peace with Israel within 100 years. Whether 100 years into the past or 100 years into the future, the Palestinians view the situation as stagnant. They hold onto perceived injuries of 100 years ago as if they just occurred, and imagine that they will feel the same in a century as well. Is the Arab-Israel Conflict inherently unsolvable, or is the nature of how Arabs in the Middle East consider time simply different than how Israel and western societies relate to it? Political matters typically require immediate attention, such as budgets, trade policies, military contracts and establishing treaties. Governments seek to move at the pace of life – in the present – so the protagonists act to effectuate policies under their administration and ideally witness the associated results. That mode of thinking is actually only relevant in a democracy. A government with a finite term that must seek re-election from its citizens is vulnerable to having a short stint in office. Its “present” is fleeting. However, a dictatorship has no set term limit of being in office or caring much about the opinions of its populace. Its “present” might extend for decades. Syria. Bashar al-Assad has been in power for 17 years and counting while he decimates his country. His father Hafez al-Assad was the leader for 29 years. Jordan. King Abdullah II has been king for over 19 years. He took over from his father King Hussein who was king for 47 years. Saudi Arabia. The monarchs of Saudi Arabia have all been from the same family for generations, starting with Ibn Saud in 1932. Egypt. Hosni Mubarak ruled for almost 30 years until the Arab Spring swept him out. The country tried democracy electing Mohamed Morsi, but he was quickly kicked out after just a year in office. Libya. Muammar Gadaffi headed the country for 42 years until he was killed. The list goes on, even for non-countries. The Palestinian Authority held elections in 2005 to elect a president for a four-year term. The victor, Mahmoud Abbas, has not held elections since then and remains as the acting-President nine years after his term expired. The leadership in the Arab world is entrenched. The only method of deposing the leaders and changing the direction of the country is often by assassination, coup or civil war, such as those raging in Syria and Yemen. In contrast, democracies do not stay entrenched, as the citizens vote for new leaders every few years. Healthy, peaceful democracies have established term limits for the highest office. As such, the leaders in democracies are cognizant of the most precious resource – time. They know that they have a short window to take action and make their mark on society. They can stretch that time by being very mindful of their citizenry, but ultimately, the time remains short. A dramatic contrast in the orientation of time between democracies and dictatorships. When it comes to the Middle East, religion plays a significant role in politics and government. Many of the wars that rage in the Middle East stem from the divide within Islam between Sunni and Shiite Muslims. 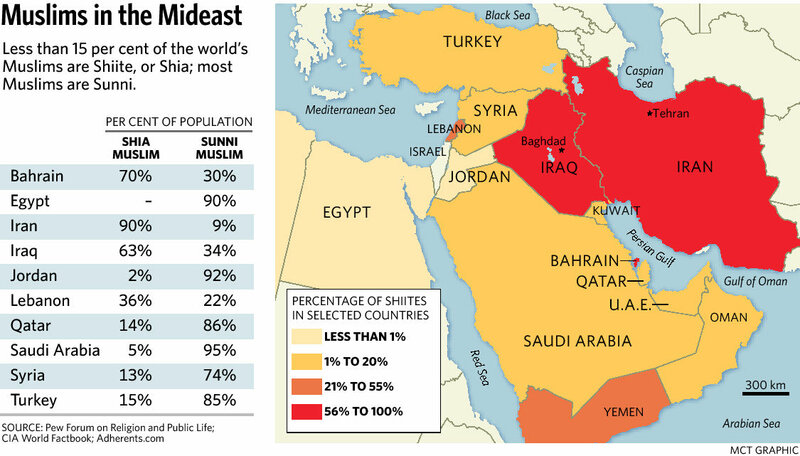 Iran and Iraq are predominantly Shiite, while much of the rest of the region is Sunni. The civil war in Syria is as much about the majority Sunni Muslims fighting the Shia dictator that rules the country, as it is about a country seeking a new direction. Saudi Arabia and Iran are fighting a proxy war in Yemen about the future direction of that country, whether it will be headed by Shia or Sunni leaders. In the Middle East, the battle between religions and sects has the added layer of the sensitivity regarding holy sites. 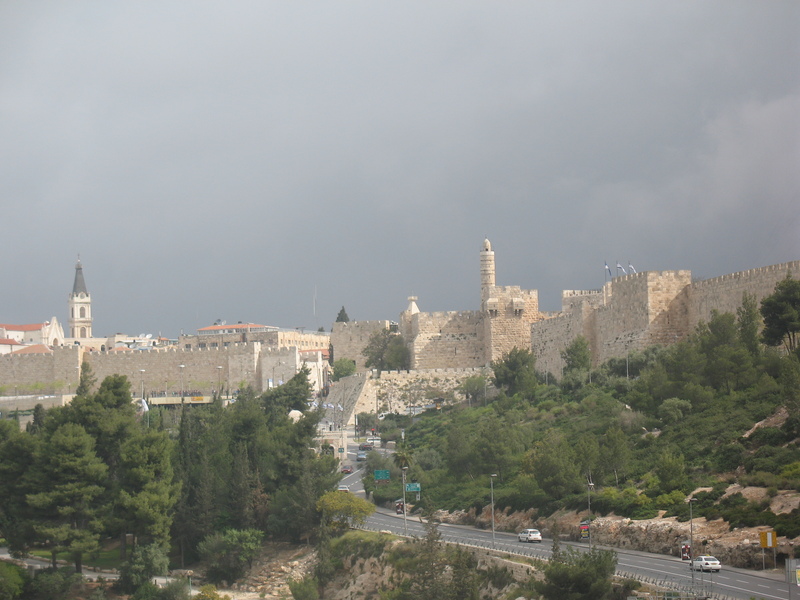 The region is packed with holy sites for Judaism, Christianity and Islam. The fights for control extend beyond physical land and resources, to the spiritual centers for different people. These spiritual locations operate on a different plane. They exist beyond time. When competing parties fight over control of holy sites, they operate in the dimension of the divine, and consequently engage in a timeless dance. The earthly connection to the Heavens is eternally rooted in a handful of discrete locations, and it is impossible to “walk away” from those anchors. To do so would be akin to being a traitor and apostate. Relinquishing a holy site to a another sect – or even worse, a different religion – would forever tarnish a person’s reputation and that of his entire family. It would be seen as the ultimate failure, an embarrassment. Conversely, a person could achieve eternal honor by becoming a ‘shahid,’ a martyr in Arabic, by fighting to the death to protect and/or seize a religious site. 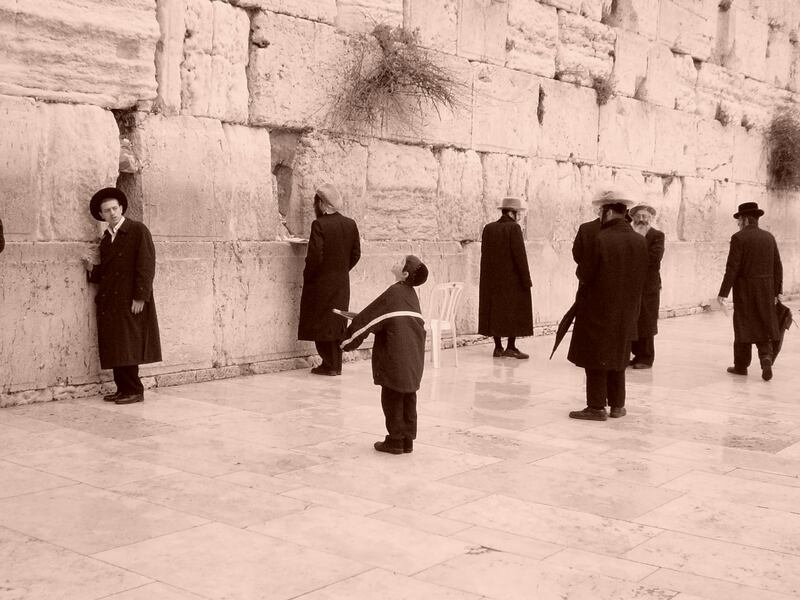 Within the Islamic world stretching from Morocco to Indonesia, lies the only Jewish State, Israel. Israel is more than a little unique in the Middle East. As the sole true democracy, its leadership changes often according to the desire of the Israeli citizens. The prime minister and parliament (Knesset) may be right-of-center at one time, and left-of-center shortly thereafter. The current Israeli Prime Minister is Benjamin Netanyahu who has won several elections, and may set a record for the longest serving leader of the country, perhaps passing David Ben Gurion if he stays in power until July 16, 2019. The democracy has not instituted term limits as it is still in a state of war with many of its neighbors. The acting-President of the Palestinian Authority Mahmoud Abbas has been in power since 2005, not by winning several elections, but by not conducting any. If he had, he would have been thrown from office many years ago by a population that considers him to be both corrupt and ineffective at governing (he’s great at stealing). From his vantage point, Abbas can look back in time 100 years as though he were talking to someone in the back seat of a car. The Balfour Declaration of 100 years ago is still yapping, and the Jews keep piling on and will seemingly overload the car over the next 100 years. Time only changes the number of Jews in the car, but will not change his attitude towards Jews regarding their rights to sit in the car, let alone take the wheel. For their part, the Israelis have made many offers for peace both with Palestinian Arabs as well as Egypt and Jordan over the years. Leaders like Ehud Barak and Ehud Omert knew that they had short windows in office to make a better more peaceful future for their citizens. They attempted different approaches towards compromise with the PA, only to be shut down each time. Real compromises, even in the very small Jewish Holy Land, which received no responses. The Arabs in Palestine were angry about the influx of additional Jewish neighbors in 1920, they are angry today, and they fully expect to be angry in 2120. Jesus was somehow a Palestinian Arab, even though Arabs did not come to the region en masse until 600 years after he died. The Palestinian Authority similarly claims that Palestinian Arabs are descendants of Canaanites and Jebusites, apparently in an attempt to predate Jewish claims to Israel and Jerusalem. Time is irrelevant. Feelings trump facts and frustrate a pathway to peace. But it doesn’t matter. Peace is not the goal. 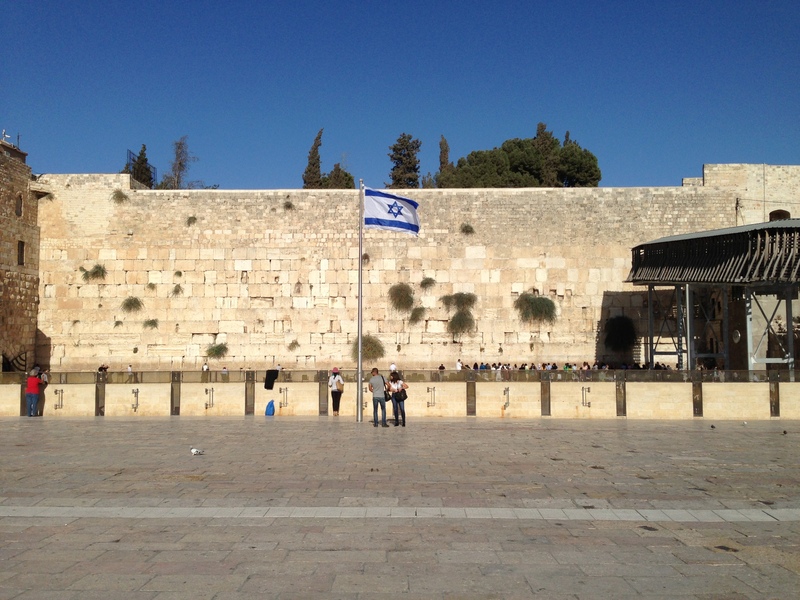 Control of the land and the holy sites are paramount. Issues like the economy, security, healthcare and rights always rank at the bottom of every Palestinian poll. The unaccomplished former US Secretary of State John Kerry understood the Arab world’s perception of time. Kerry suggested in January 2018 that the Palestinians “hold on and be strong,” and “play for time, that he [Abbas] will not break and will not yield to President [Donald] Trump’s demands.” Hey, Abbas! You are a dictator and Israel and the United States are democracies. You can wait it out. Screw today. Stick it out and wait for a better payday. Play for time. Only democracies have a shot clock. The Western World views time very differently than the Arab Middle East. As secular democracies, the West seeks to enjoy and improve life in the here-and-now, while the Arab Middle East is a world of religious dictatorships where time is not a critical factor. Any negotiations between parties that view time so differently must be mindful in considering short-term and long-term situations and goals, and adjust. Specifically, a democracy must adapt to either be willing to wait forever and show no rush towards concluding a deal (adopt the Arab approach), or demonstrate that time is an enemy to the dictatorship (force the Arabs to play with a shot clock too). Israel has slowly learned the lesson. Will the rest of the West? This entry was posted in Iran, Islam, Israel, Middle East Analysis and tagged democracy, Mahmoud Abbas by First.One.Through. Bookmark the permalink.